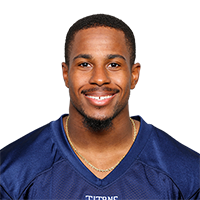 Published: Nov. 11, 2018 at 01:13 p.m.
Tennessee Titans wide receiver Darius Jennings returns the opening kickoff for 58 yards. Published: Sept. 10, 2018 at 12:03 a.m.
Tennessee Titans wide receiver Darius Jennings takes a punt return 94 yards for a touchdown in Week 1 of the 2018 NFL season against the Miami Dolphins. Published: Aug. 9, 2018 at 08:56 p.m.
Tennessee Titans wide receiver Darius Jennings catches a 4-yard pass from Marcus Mariota for the first Tennessee Titans touchdown of the preseason.